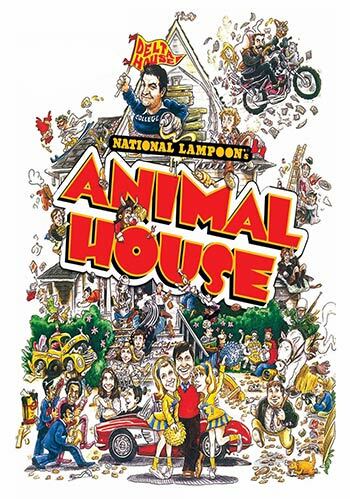 National Lampoon’s Animal House – 40th Anniversary! This film is a part of a Double Feature with The Breakfast Club. When two movies that are screening in the same theatre are grouped under the same thematic heading, one ticket is good for both features when viewed back-to-back on the same day (except as noted). John Belushi, Tim Matheson, John Vernon, Verna Bloom, Tom Hulce, and Donald Sutherland. This low-budget ($3 million) comedy came out of nowhere to earn over $140 million at the box office, making it the highest grossing comedy ever at the time. It also gave John Belushi the opportunity to create another iconic role in what ultimately proved to be a tragically short career.